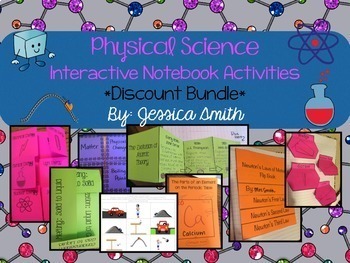 A collection of Physical Science Interactive Notebook foldables and activities to enhance your curriculum at a discounted price. 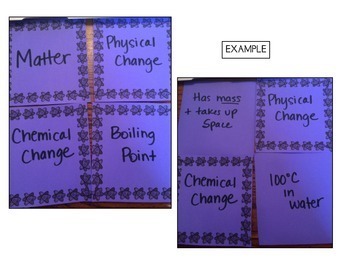 Great for notes, homework, partner work, stations, warm ups, and assessments! 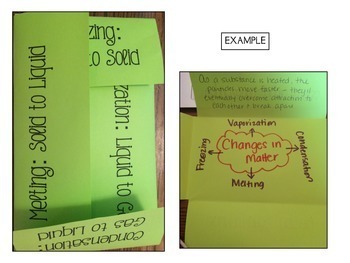 Need reading comprehension activities to go along with these foldables? 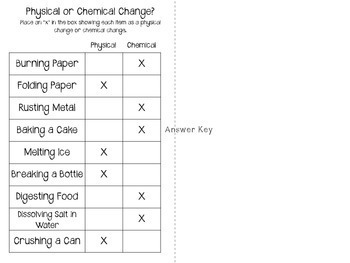 Check out my Physical Science Read and Apply Activities! 4. 16 Vocabulary Cards that could be used as flash cards, used in a memory game, as task cards, word wall cards, etc. Words include: gravity, force, friction, laws of motion, work, simple machines, pressure, & buoyancy. All definitions included. Words Include: Atoms, Protons, Neutrons, Electrons, Isotopes, Element, Compound, Molecule, Ion, Ionic Bond, Covalent Bond, Acid, Base, Periodic Table, Mixture, Solution, Suspension, Solute, Solvent, & Mass. This product is also included in my Complete Middle School Interactive Notebook Bundle! !